Fifteen years ago, hikers in a suburban Minnesota park discovered the skeletal, unclothed remains of a woman, 35 to 45 years old, with brown or reddish hair and evidence of significant dental work. The woman was never identified, and the case remains open as a homicide investigation. In a bid to develop fresh leads, police in New Brighton, Minnesota earlier this year circulated new images showing what the woman may have looked like when she was alive. 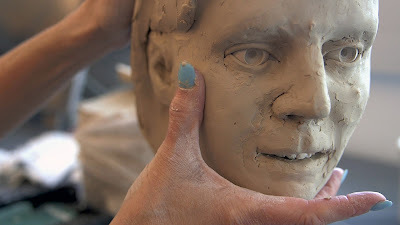 The facial approximation—rendered in clay using a forensic analysis of the women’s skull, along with a detailed anthropological workup and a deft artistic hand—was aimed at putting a distinctive face in front of as many people as possible, raising the odds that someone will recognize her. The process is a free service provided by the Trace Evidence Unit at the FBI Laboratory in Quantico, Virginia to support the law enforcement community. “This process has given me new hope that my unidentified person will be identified someday,” said Mike Lochen, a detective in the Police Division of the New Brighton Department of Public Safety.